It has been 3 years since that day and regret leaving him, I&apos;m a mess, I don&apos;t eat much, I hardly go anywhere besides school, I&apos;m just a whole damn big mess, without Matthew. I got out of bed and went to go pick out an outfit which consisted of, sweatpants, a hoodie, and my vans. Yeah ever since I left Matthew that&apos;s basically all I wore. I brushed my hair, brushed my teeth and went downstairs. I grabbed an apple and said," Bye mom, love you." She replied, "Love you too, have a great day at school." Sure like school&apos;s any fun. I finally got to school yay *note the sarcasm*. "Hey y/n, you don&apos;t look so good, are you okay." y/f/n asked. "Yes I&apos;m okay, I just didn&apos;t get enough sleep, because I was uh doing homework." I replied. "Okay, yeah sure, is it because you miss Matthew." She said. "Yes, y/f/n, I was so stupid to let him go, now look at me I&apos;m a mess without him, I&apos;m pretty sure he&apos;s moved on and I&apos;m over here missing him because I&apos;ll never find someone like him." I said. "You&apos;re right, he was one of a kind, he was a keeper y/n." I started crying and y/f/n hugged me," It&apos;s okay y/n, you&apos;ll find someone else." I cried even more," No I won&apos;t he was special y/f/n." The day seemed to drag by, I had so much homework today, what fun. It only took me about 5 minutes to walk home. "Hey mom I&apos;m home." No answer she must be at work. 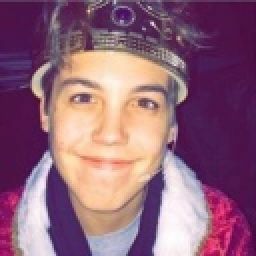 I went to my room and opened my laptop, I had an email that said Congrats you&apos;ve been invited to join the Magcon Tour, I forgot to tell you I&apos;m pretty famous on YouTube, ever since I left Matthew, that&apos;s what I did on my free time make YouTube videos and I guess people liked them. I read through the email and it said there was 9 other guys and a girl. I texted my mom if I could go it says that I have to leave in 2 days. - Yes you could go but who else is going? I set my phone down and started packing. So I have 2 days to get everything ready. I started to get tired and fell asleep. Today was Saturday so, yay no school, my day is basically going to consist of packing for the Magcon Tour. Since I leave tomorrow. What I mainly packed was my undergarments, 20 sweatpants, 20 hoodies, 3 pairs of vans, my toothbrush, toothpaste, my hairbrush, all my personal hygiene things, etc. I finished packing and I had nothing to do the rest of the day, so I flipped through the channels on Netflix and watched a random TV show. (A/N: This is the morning) Finally it&apos;s the day I leave for the Magcon Tour , I grab my suitcases and go downstairs to find my mom waiting for me, she says," I&apos;m going to miss you so much honey." I said," Me too mom." She replied," Come on we don&apos;t want you getting there late." So it didn&apos;t take long to go to the airport. I got my suitcase and looked for a banner with my name on it. The name next to it said &apos;Matthew&apos; and the other name said &apos;Mahogany&apos; she must be the girl, I went over to my banner and stood there. "Hi you must be y/n." A girl with nice curly hair, she was wearing cat ears said to me." Yes that&apos;s me." I said. 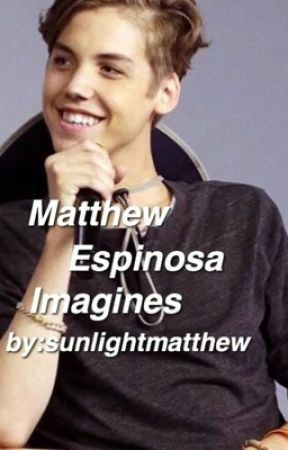 "Well let me introduce you to everyone, that&apos;s Matthew, people say he was happy and cheery before his girlfriend left him because of him being away too much, that&apos;s Shawn, he&apos;s the singer of the group, that&apos;s Taylor, the one with the bandana, that&apos;s Nash, the one with the gorgeous eyes, Aaron, the one wearing a beanie, Carter, the kid who always wears snapbacks, Jack & Jack, the blonde one is Johnson and the brunette is Gilinsky, and last but not least Cameron, he the sweetest out of all the boys." I asked," Wait you said Matthew was happy and cheery before his girlfriend left him, because he traveling too much, right?" She said," Yeah, why?" I said, " Because I had a boyfriend like that, and his name was Matthew, who was happy and cheery all the time because of me, I was too, and I regretted leaving him because I was a mess after." She looked shocked," Oh, you should go talk to him." I walked over to Matthew, he had piercings and tattoos all over him, he was wearing all black, he looked darker," Hey Matthew, remember me?" He looked up from his phone and said," y/n, is that really you?" I smiled," Yup that&apos;s me, what happened to my sweet, innocent, Matthew?" He said, " He&apos;s right here he never left." 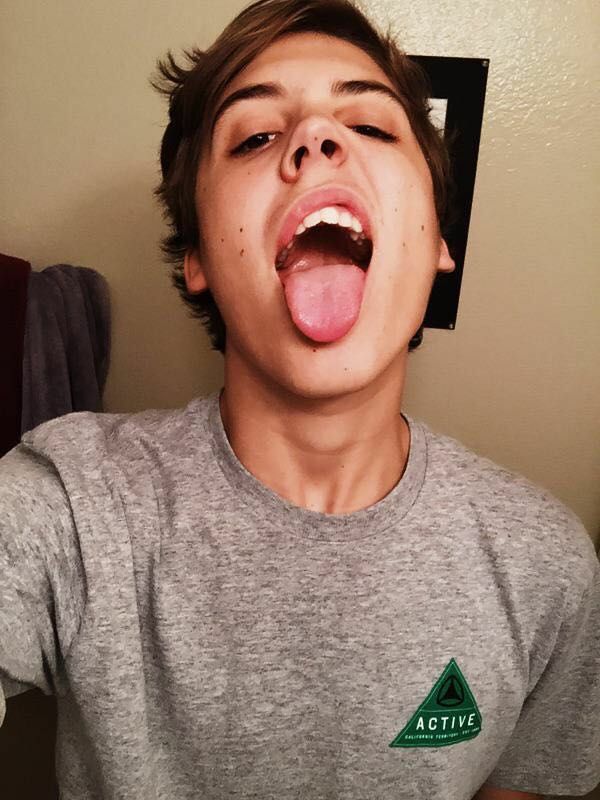 I said," Sweet, innocent Matthew didn&apos;t have tattoos and piercing and he definitely didn&apos;t wear dark clothing." I smiled. "Well did sweet, innocent Matthew do this?" He pinned me against a wall and kissed me, oh how I missed those lips. "Definitely not, I think I like this Matthew better, but I miss sweet, innocent Matthew." He asked," What are we y/n?" He smiled, I love his smile, "Well what do you want us to be?" I asked. "Will you take me back y/n?" He held my hands, "Yes Matthew I&apos;ll take you back." He kissed me one more time. "Awwww." All the guys and Mahogany said. I blushed and smiled. I&apos;m glad I got my Matthew back.